This week our featured fanart is “The Great Sea” by deviantART artist Leh-Latte. 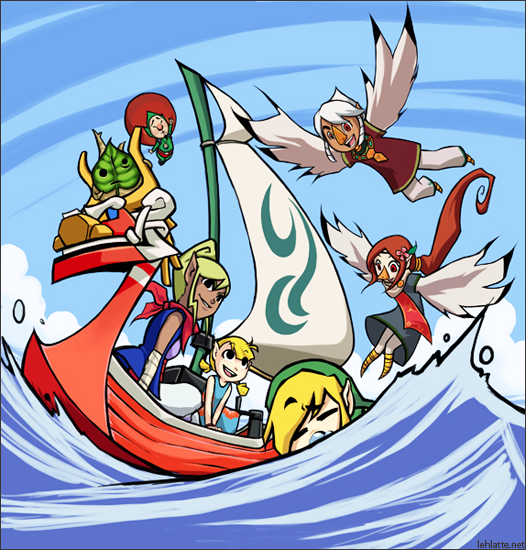 Just looking at this piece makes me think of the happy-go-lucky mood that dominated much of Wind Waker’s art style. The piece really captured the bright and cheery colors of that Wind Waker style while still infusing some personal artistic flair. Also, Link’s face makes me laugh just looking at it. What do you guys think? Also, for all you artists and art enthusiasts out there, be sure to check out the ZD deviantART group, ZD’s open fanart gallery.